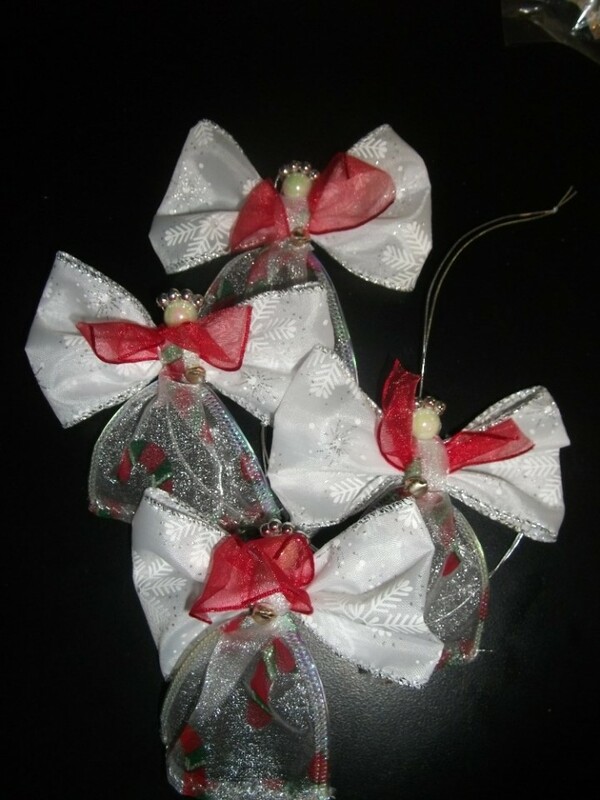 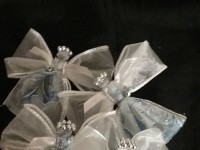 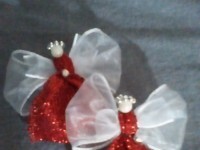 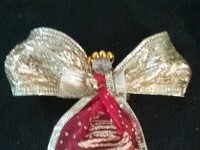 Handcrafted using beads and wired ribbon into these charming sets of 4 ornaments Candy Cane n white gowns, to decorate for Birthday or Christmas party/tree, gift bows, or party favors, Keepsake, or Fundraiser item. 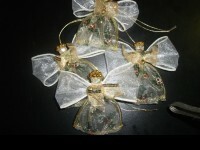 They are on the average 3 to 4" tall. 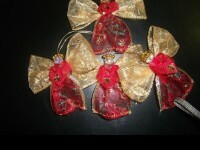 You can specify double sticky or shiny string to hang. 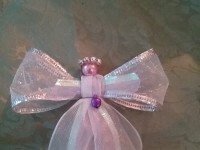 for a variety of colors & styles, see other listings. 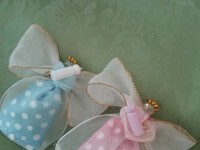 They are not toys. 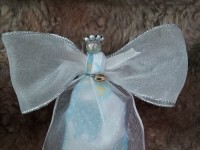 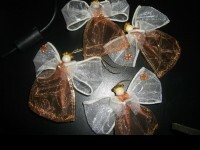 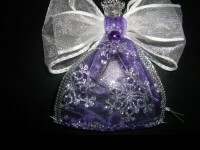 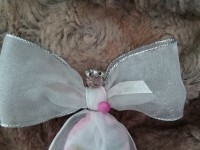 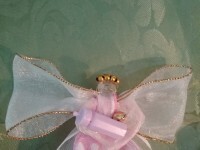 All of my Angels & Fairies wear one of my signature bells.